Get ready for the refreshing taste of Reds Iced Watermelon Apple Juice by 7 Daze e liquid. 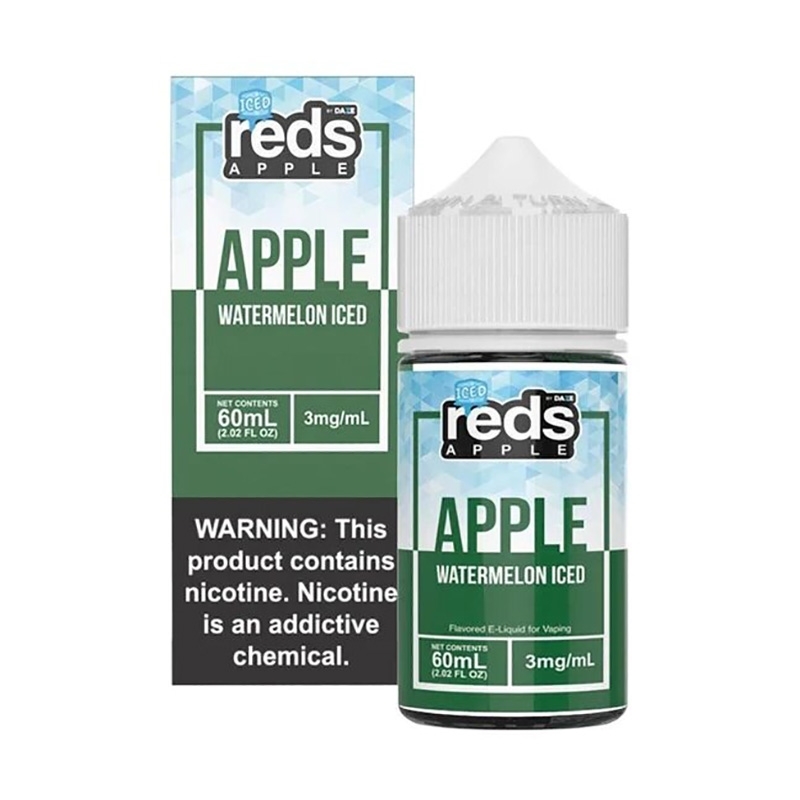 Mouth watering fresh sliced watermelon with crisp red apples and a dash of menthol to revitalize your palate. So fresh, sweet and tasty you'll want smack your lips with every vape! Once you try it, you won't want to stop vaping it! Iced watermelon is so good. I love the coolness and sweet taste. I jump from one flavor to the next when it comes to Reds iced flavors. There isn’t a bad flavor when it comes to Reds!